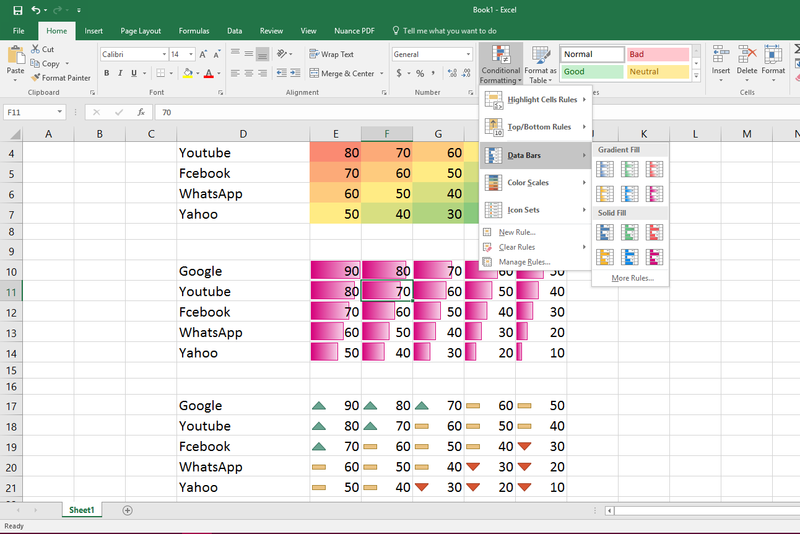 While working in Microsoft Excel with huge data entry, its really hard to find out greater than or less than values, so in this post I will be showing how to indicate or highlight greater than or less than values by using conditional formatting in excel, this method will work all the version of MS excel like 2007, 2010, 2013 and 2016. 3. You have lot of option to highlight or indicate values like “Data Bars” “Color scales” or “Icon Sets”, choose anyone and apply. 4. If you want to apply this to other cells, select one cell and drag down or left with mouse.